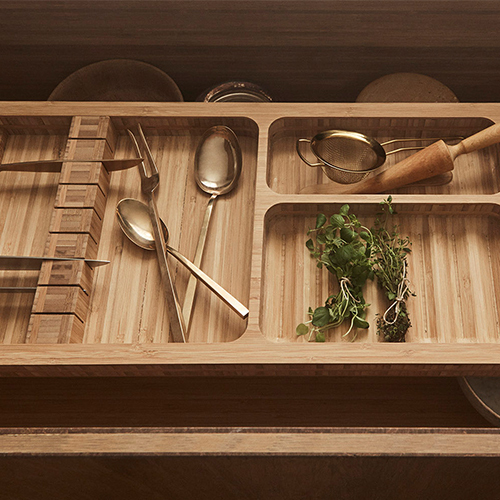 The E Collection comprises of a custom made service for sustainable furniture and kitchens. 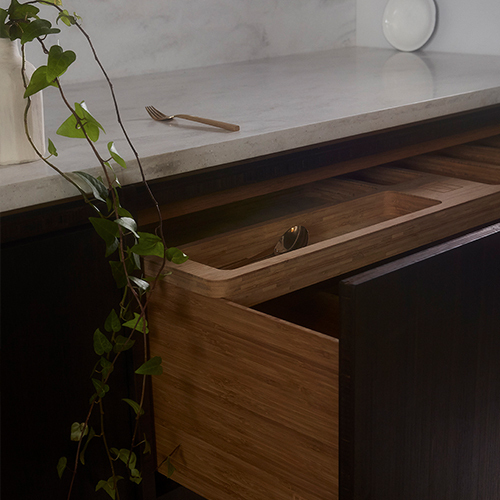 We design and build unique kitchen solutions for each individual customer – all in accordance to your aspirations and needs. 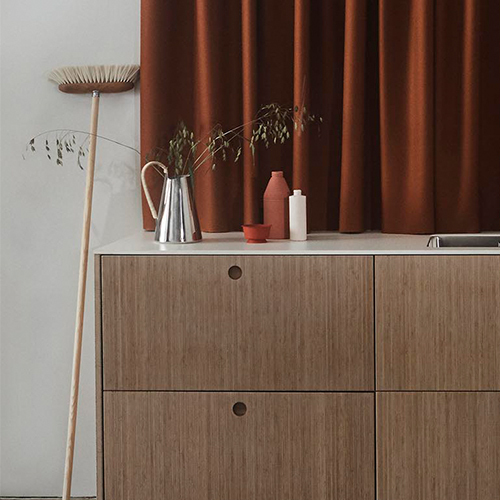 The collection consists of everything from smaller pieces of furniture to full size kitchens, including kitchen appliances and counter tops. 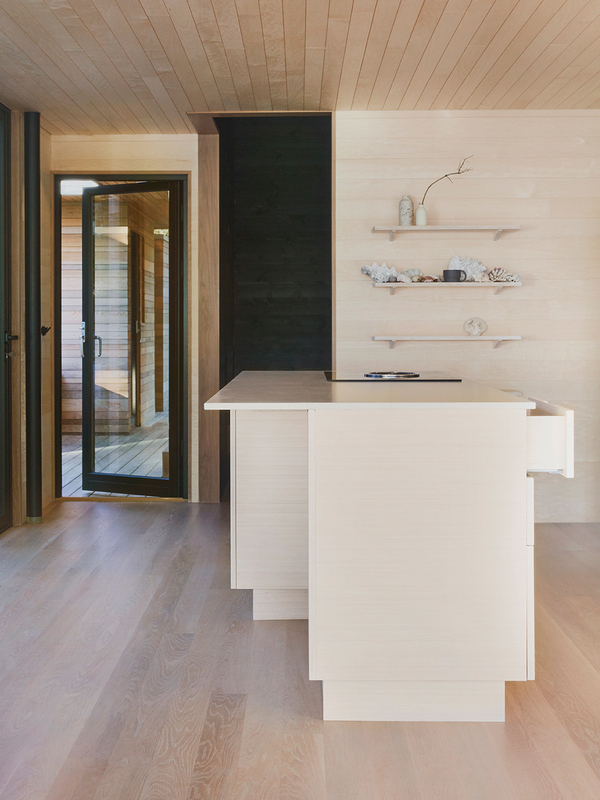 For a charming cottage house located on an island at the Southern coast of Norway, Ask og Eng made this made to measure, all bamboo, light and bright kitchen. 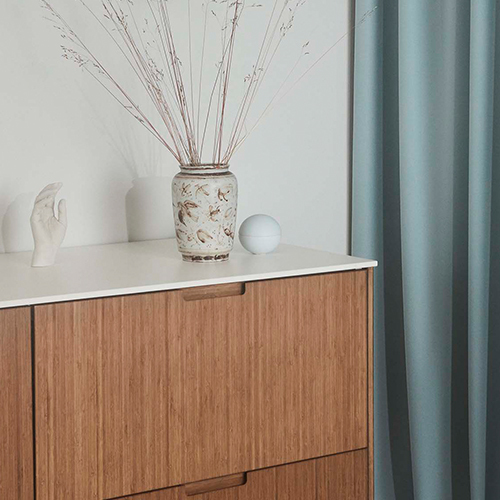 The light bamboo together with the white wood panels gives the house a cozy, yet minimal and nordic feel. 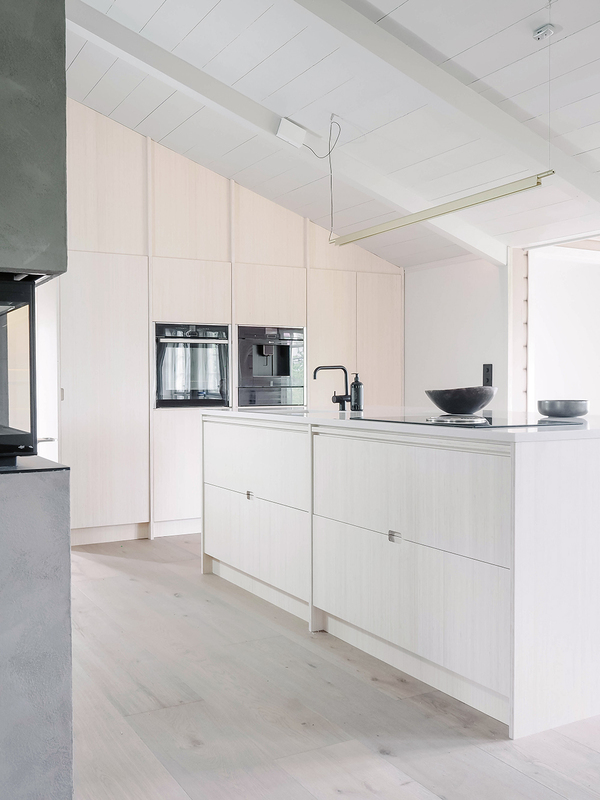 For this scandic minimal cabin, located on the island of Hvaler, we made a light and simplistic kitchen that goes really well with the other materials related to nature and all the natural elments that you find just outside of the cabin. 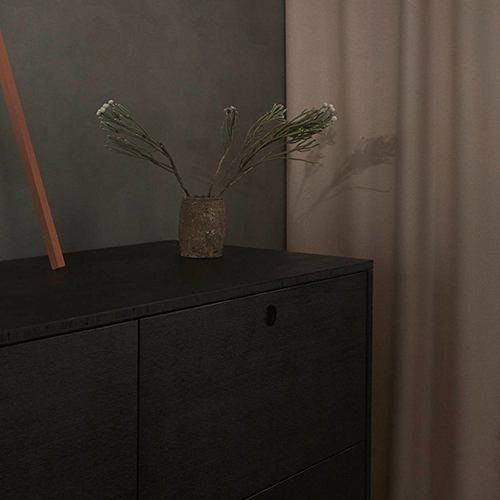 The mix of natural materials, big windows and light tones empahsize blurred lines between the inside and outside. 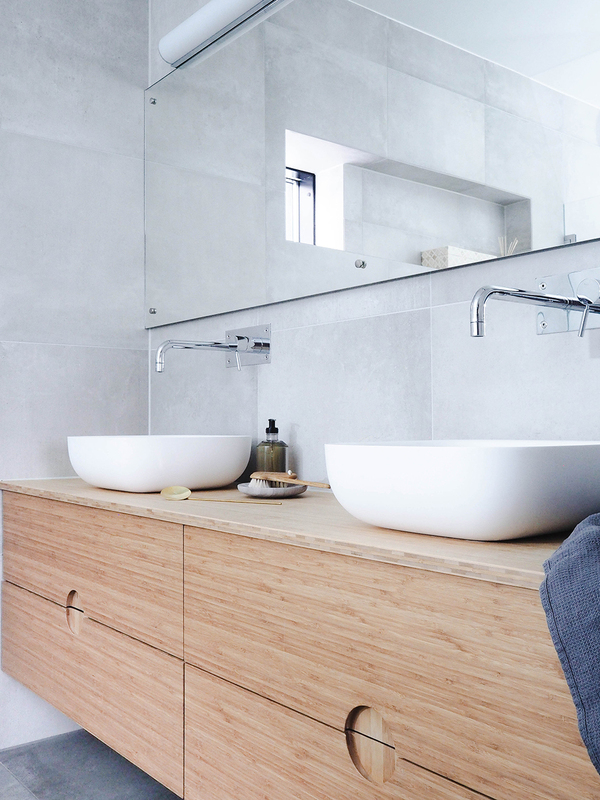 For this airy and light bathroom, Ask og Eng designed and built a custom made bathroom unit in the colour wheat, and built it, as always, in the sustainable material bamboo. 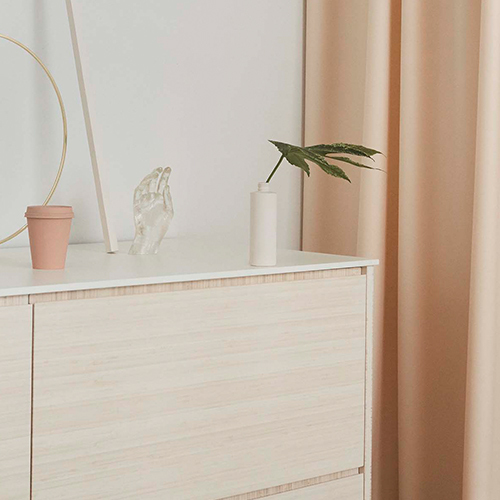 Bamboo, which is actually a type of grass, is a sustainable choice as it grows significantly faster than trees, it can actually grow up to a meter per day. With its big windows that provide the rooms generously with light, Grain became a natural choice for this newly built house in Oslo. 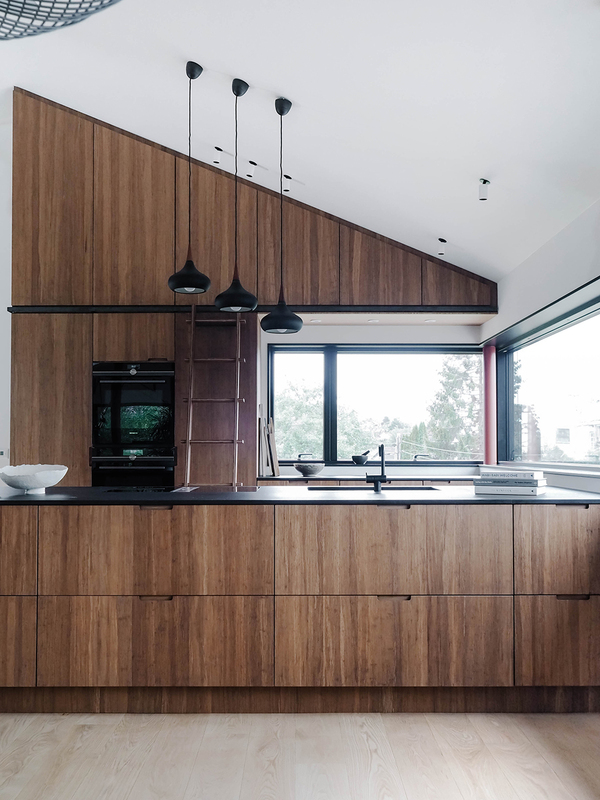 Ask og Eng chose to emphasize the architectural lines throughout the house, especially the pitched roof in the kitchen with custom made cabinets on the entire wall. 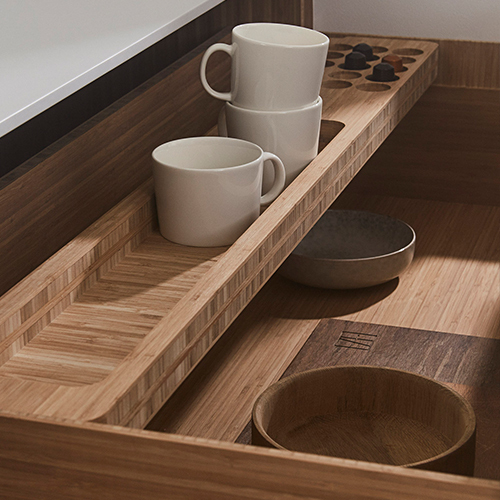 For the family to be able to reach the top cabinets, there was made an all bamboo ladder, which intention was to blend perfectly in with the rest of the interiors. 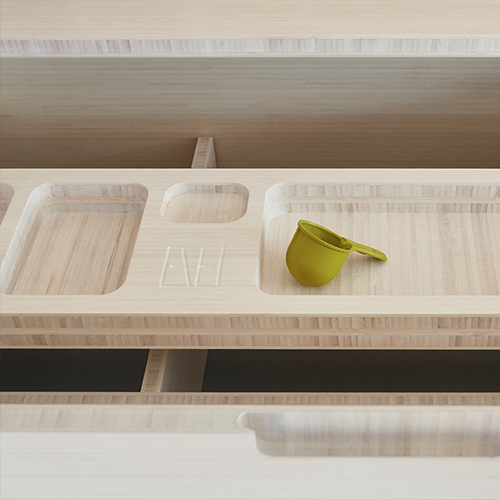 In addition to the made to measure kitchen, Ask og Eng also built a glass pantry for the family to store all of their favorite items. With the white backdrop and the black detailing, the bamboo is beautifully combined with other types of wood. 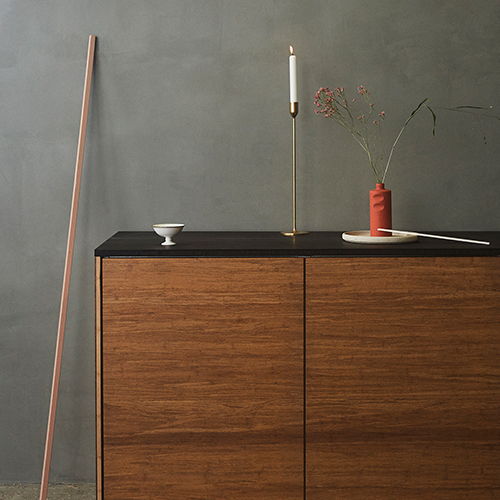 Nordic quality and organic material choices are made throughout the house and contributes to a warm and welcoming home. 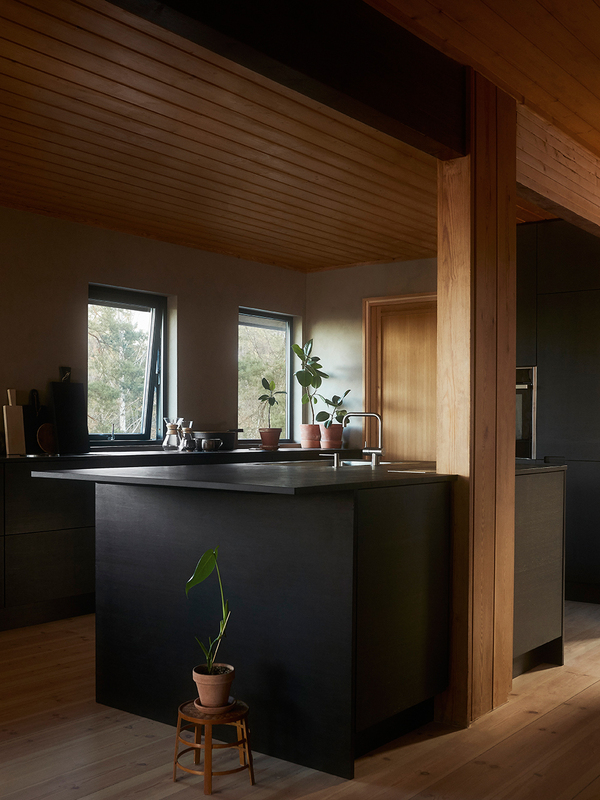 For this house, Ask og Eng have custom built a dark kitchen, all in bamboo, which goes well with the pine walls and other natural materials spread out over the house. 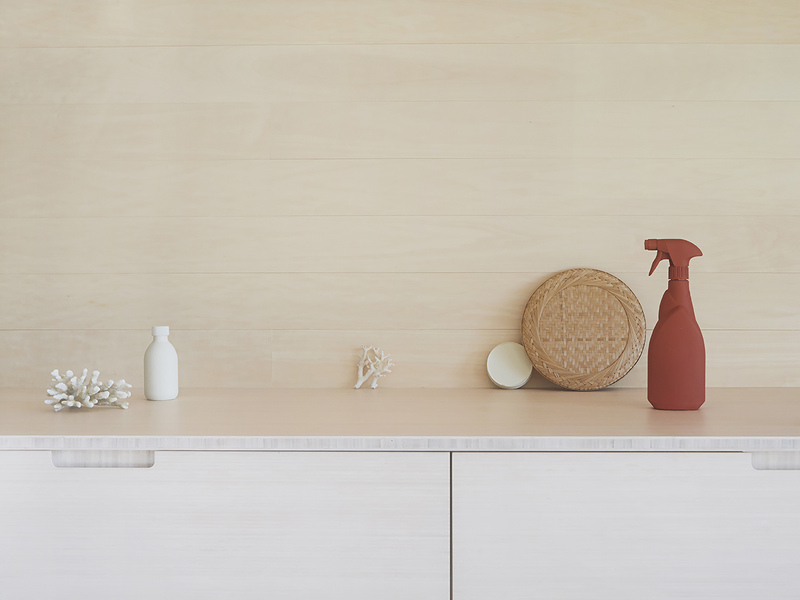 Here also the counter top is made of bamboo and contributes to give the kitchen a minimalistic and classic feel. The house is situated on a beautiful hillside overlooking the city of Drammen and the big windows gives the kitchen area great views and light. Get in touch here to book an appointment with us in our showroom, or to send us your measurements and drawings for a quote. 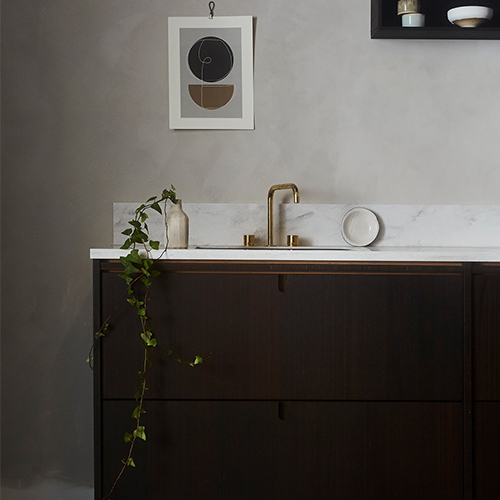 We prefer a first meeting to discuss your project, either in Oslo or by phone, to learn about what kind of kitchen you want. The offer contains a description and drawing of the design. And, upon request, an estimated price for the installation. Our production time is about 12 weeks. 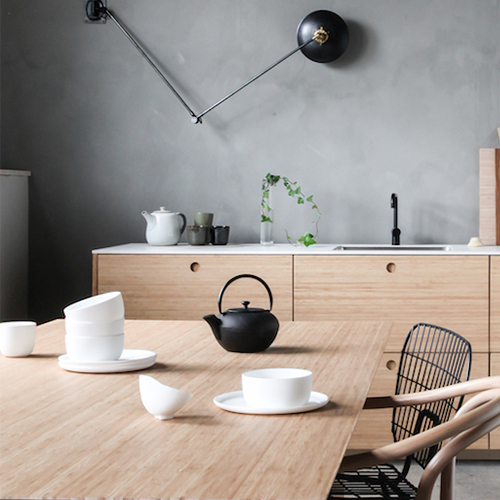 For Norwegian clients, we have our own carpenters ready to install your new kitchen/furniture.